Finding the right partner to spend the rest of one’s life with is surely one of the most important things in life. And that is why it’s very thoughtful to applaud friends and loved ones who do this. 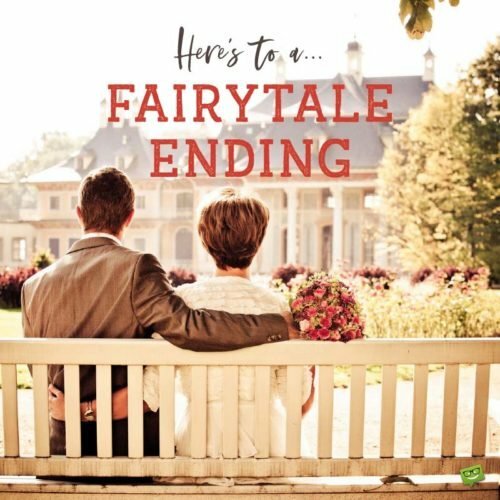 Here are some sweet wedding congratulation messages you can use in congratulating a couple or someone you know who has just tied the knot. Hearty congratulations on your union, folks! Wishing you a lifetime of nuptial bliss, harmony, trust, and happiness. You will do great. I am 100% certain of that. Finding the right soul mate is no mean feat but you guys have pulled it off so spectacularly. All the best with building this union to its acme. Congratulations. Very big congratulations to you, folks! I knew you were meant for each other from the moment you started dating. Wishing you happiness, prosperity, and long life. Always remember that a couple that plays together stays together! Congratulations on your union, and may you have many more years of active play together. Cheers. Congratulations on tying the knot! Difficulties may come your way but just know that you have what it takes to sail through. You look great together. Cheers. Now I can brag that I’m friends with the world’s super couple! I can’t wait to see who your kids will take after. Congratulations on what promises to be an amazing journey. You’ve officially embarked on a journey of growth, perseverance, sacrifice, humility, and love! I hope you will treat it with the respect it deserves. Congratulations. May your union become the hallmark of mutual respect, unconditional love, and true trust! Congratulations on this perfect match from heaven. 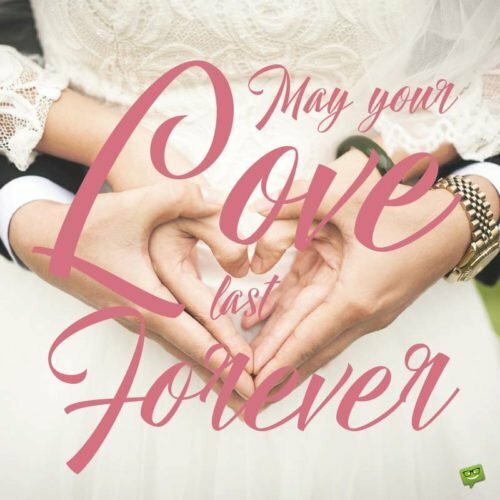 May your love last forever. You’ve brought joy, honor, and respect to this family and words can’t express how happy and grateful we are! We wish you nothing but the best in marriage. Big congratulations to you! He finally put a ring on it! Congratulations, girl! Without a single shred of doubt, your husband is one lucky man to have you. Enjoy the ride. Much love. How does it feel to be officially a Mrs.? I’m sure you feel fulfilled, accomplished, and happy. Long may this feeling endure. Congratulations on your union. When a woman loves a man, she gives him her all. And this is exactly how I see this relationship. Congratulations for making it official. You make one stunning bride. Cheers. Finally, it’s official! I’m truly happy for you and pray that you’ll find everlasting joy, peace, and contentment in your marriage. Congratulations. We told your husband to treat you well otherwise we’ll come back for you. That said, we couldn’t be prouder to be your siblings. Congratulations on your marital union. Much love, dear. Mom and dad are happy that their little girl is now a loving, smart, and pretty wife! We will be here to offer support if you need it. Congratulations and thanks for making us proud. Just yesterday, you were a crying toddler. But today, you are the man with the woman of his dreams. Congratulations, son. I’m really proud of you. Wishing you the best in marriage. Dude, you just made me an unemployed wingman by putting a ring on it. But since that’s for your happiness and cheer, I have no problem. Very big congratulations to you. Enjoy. Real men love their wives with all their heart and take good care of them. I’ve no doubt that you will rise to the occasion. Wishing you an amazing marital life, nephew. Hearty congratulations! Congratulations, brother! You’ve just paved the way for the rest of us to follow, and we will! In the meantime, have a successful and blissful marriage. Cheers. I can’t believe how far we’ve come from those times when I was your wingman! Congratulations on making it official. Wishing you nothing but the happiness and love you deserve. Cheers. Promise me that you’ll teach your kids how to dance so flawlessly like we did back in college. Congratulations, man, and welcome to the league of married men. Congratulations on your beautiful union, girl! Your boss and I promise not to give you too much work so that you can have time for your spouse. Hooray!! I’m proud of the courage you’ve demonstrated by making this relationship official. Things should move from one moment of glory to another from here. Congratulations. May this mark the beginning of many more years of love, happiness, and equality. I’m so happy that you and the love of your life have decided to officially live all the days of your lives together. Big Congrats! My dear, I congratulate you from the bottom of my heart on your wedding and wish you a long and very joyous marriage. Congratulations! May God pour endless blessings on your lovely marriage. This is not only a moment of unity but also one of grace, togetherness, and love. Congratulations to you on this great move. Wishing you the very best. It’s one thing to find a soul mate and another to commit to them for the rest of your life. May you find that will to commit even when it’s unpopular to do so. Big congratulations. Gargantuan congratulations to you on your marriage to the love of your life! Here’s to a marriage full of endless joy. This is a fresh life and a fresh beginning! May this marriage be a launch pad to great happiness and success in your life. I’m so happy for you. Congratulations. It sounds like you’ve had some big wins this year. First, your promotion at work, and now your union with the man you love. We are proud of you and hope that you find success in your marriage. Best. Congratulations on your colorful wedding. May this wonderful journey bring a lifetime of love, prosperity and joy. There are two very important things in life – your soul mate and your legacy. Congratulations on achieving the former. I’m certain that, together, you two will achieve the latter. Much love. I couldn’t be prouder that you’ve got this thing going! Spoil him, laugh often, and do the things you cherish most. Congratulations! Congratulations, dear! May the sun always shine on your beautiful marriage and bring you nothing short of everlasting bliss. 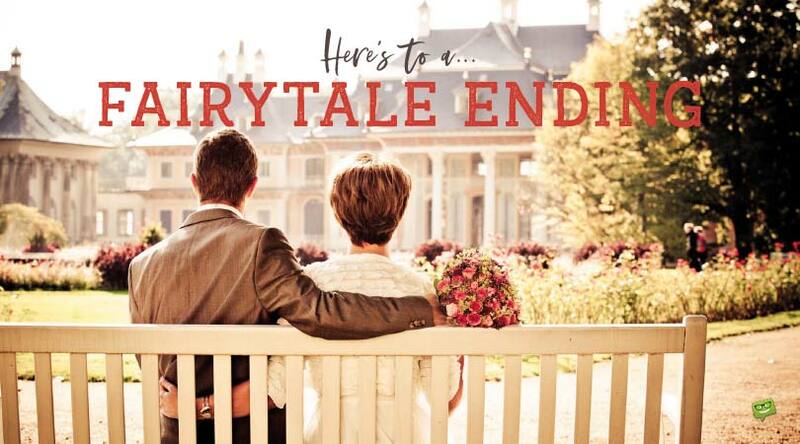 Here’s to a Fairytale Ending!